Caution! 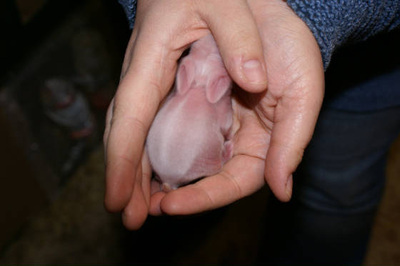 Photographs of young kits, may offend. Mane - The mane should be between 5-7.5cm (2-3in) in length to form a full circle around the head extending to a "V" at the back of the neck, falling into a fringe between the ears. Above is the B.R.C. description of a miniature lion lops furnishings. 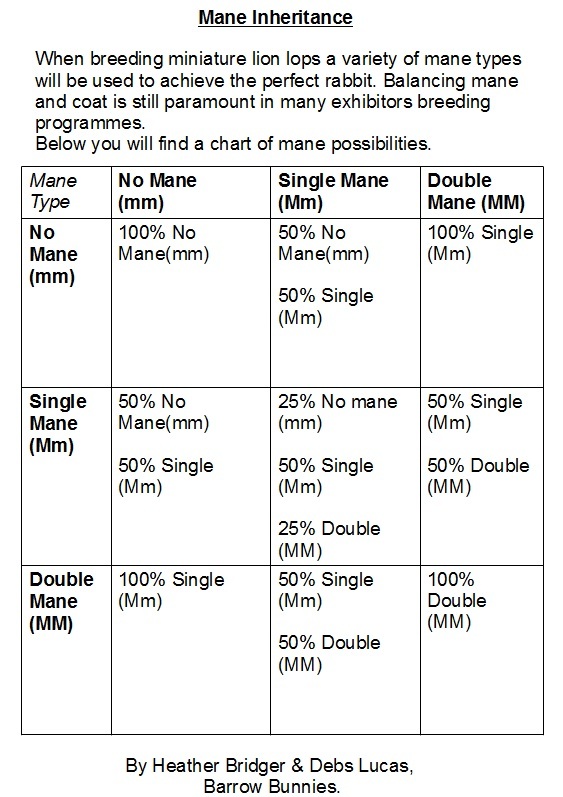 This could be interpreted as double or single mane, opinion differs from exhibitor to exhibitor. 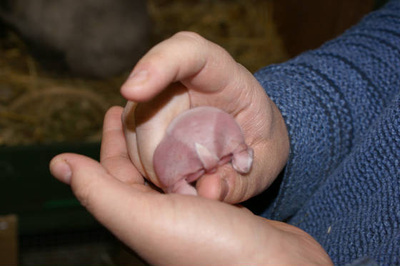 Lionhead x mini lop is a cross-breed. However mini lops are bred with lion lops to improve certain qualities from coat to type. 'No mane' off spring from such a mating are mini lops and do not carry the mane gene. 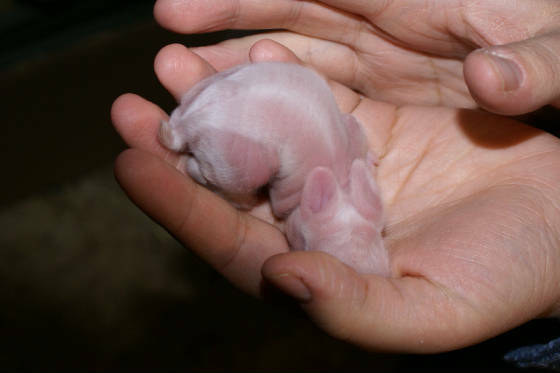 A LION LOP IS A MINIATURE LOP WITH THE MANE GENE. Below you will find photographs of a double mane kit. You will see any difference between the kits in the nest after just a few days. The most noticeable place you will see it first is on the rear end where it forms a V shape.